The adult moths of this species are pale grey with a scalloped dark submarginal line on each wing. 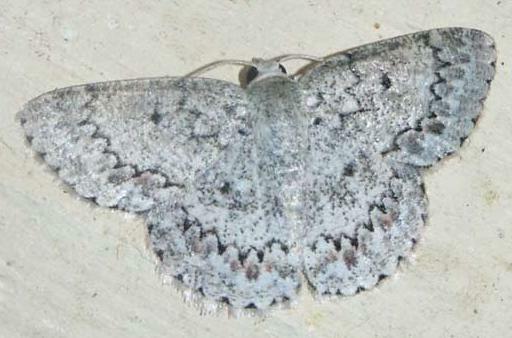 Underneath, each wing is pale grey with a broad dark band along the margin, and a dark spot in the middle. Stuttgart : Alfred Kernen Verlag, Part 12 (1934), p. 138.